Recycling Solar Panels | What to do with old solar panels. Recycling solar panels is a topic which will be a lot more prevalent as the initial ‘wave’ panels begin to reach their end of life. Let’s take a look at what the plans are for trying to minimise the environmental impact and maximise the value of a used solar panel. Recycling Solar Panels | Will there be a waste crisis for old panels? Australia has one of the highest PV solar uptakes in the world. There are plenty of us who have had solar installed for a long time. So long, in fact, that people are talking about end of life strategies to dispose of/ repurpose solar panels, so that they don’t cause a problem for the environment. “We’ve had a solar panel industry for years which is an important environmental initiative, and it should have been incumbent on government to act in concert with the growth of the industry so we have an environmentally responsible end-of-life strategy,” he said in a quote to the Sydney Morning Herald. We’ve written previously about solar panel recycling and, although it’s good to see things like the ELSi project in Germany, there’s still a ways to go before we figure out the best way forward to recycle solar waste. According to the director of Reclaim PV (the only dedicated photovoltaic recycler in Australia), Clive Fleming, they company recycles 90 per cent of materials in a panel. The company has been lobbying for state bans on landfill disposal of solar panels. We expect over the coming year or two we’ll hear a lot more about this, with Sustainability Victoria working on a ‘national approach to photovoltaic product stewardship’, with their recommendations presented to the environment ministers around the middle of this year. Victoria have already announced they’ll ban electronic waste in landfill from July 2019, so it’ll be interesting to see if/how the other states follow suit. 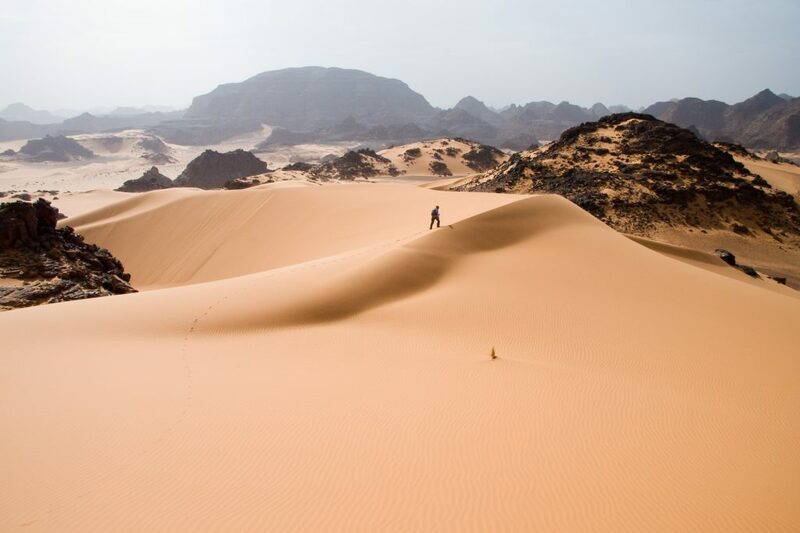 New research in Science magazine shows that installing solar and wind farms in the Sahara Desert could generate massive amounts of electricity and turn parts of the desert green for the first time in over 4,500 years. Atmospheric scientist at the University of Maryland, Eugenia Kalnay, has been working on this theory for over ten years, postulating that the darkness of solar panels won’t reflect the sunlight – helping heat up the surface of the land – which will in turn drive air upwards into the atmosphere (which, in turn, generates rain). Dr. Kalnay talked one of her post-doc researchers into creating a computer simulation where 20% of the Sahara is covered with solar panels. They also tried a simulation where the desert was covered in turbines to generate renewable energy from wind. The simulation was successful – with rainfall in the desert increasing by a large enough amount so that vegetation could return to the Sahara. The Sahara Desert solar farm in the simulation is gigantic – bigger than the entire continental United States. It’d be able to generate 400% of the energy the world currently requires. Would there be a way to install high-capacity transmission lines to transport this power across seas and land? It’s certainly a fantastic concept that seems straight out of a science fiction novel, but technology is increasing at such a pace that ideas like this are, whilst admittedly still in nascent stages, potentially viable. Take a look at our articles on printable solar panels/cells to see how, if room wasn’t an issue, how much cheaper large-scale solar could be with lower efficiency panels. More great information for solar cell technology. Just a thought experiment at this point but it’s exciting to see what the future could hold for renewable energy in the Sahara Desert! Global wind and solar statistics – 1 Terawatt reached! Alinta Energy have applied to the Western Australia Department of Water and Resources to clear 160 hectares at the proposed site of its Pilbara solar farm. The planning application send through to the department is for permission to clear the 160 hectares of the site and also lays out a planning application for the Pilbara solar farm. “The clearing will be required so that Alinta Energy Transmission (Chichester) Pty Ltd (Alinta) can build, own and operate a solar field located adjacent to Fortescue Metals Group’s (FMG’s) Christmas Creek Substation in the Pilbara region of Western Australia (the Project),” the application says, according to RenewEconomy, who have quoted ‘solar industry insiders’ who estimate the size of the solar farm to be around 60MW (Alinta haven’t announced the size of the proposed farm yet). “The Project will supply FMG’s Christmas Creek mine site with power to support ongoing mining operations” the report continues. It’s understood that the project will probably use single axis tracking and hopefully usurp the current energy for the Christmas Creek mine – an expensive and ecologically unfriendly 58MW diesel plant. This goes to show how important renewable energy in resources is – especially when you’re dealing with a site far from the grid. Some of these mines use an astronomical amount of power and having as much as possible of that power requirement coming from renewable energy is a fantastic step in the right direction for the resources industry in Australia. Last month Alinta made a development application for the 65km energy transmission line which would link the Christmas Creek mine with the Cloudbreak mine – so this gives us a bit of an idea as to what they are hoping to achieve in the future. Don’t be surprised if you hear more about this solar farm and a whopping great battery to go with it! Watch this space.